Things I Believe in This Week. | The girl who loved to write about life. That willpower + stubbornness are a pretty powerful combo. || We're now TWO (and a half!) WEEKS into the whole no sugary creamer situation. This might seem like a small accomplishment to you, but I assure you, it is not. I also assure you it has been accomplished sheerly out of stubbornness to prove to myself that I could do it. Because it feels really good to put your mind to something and decide to stick to it, and then actually stick to it. Breaks. || Coffee breaks, book breaks, walk-around the block breaks, sit and stare at the ceiling breaks. When you're busy, taking a few minutes and some deep breaths can make all the difference. Supporting the heck out of the people in your life. || My dad called me last week to tell me that he liked a blog post of mine. One of my friends texted me this week saying she was proud of me. One of my best friends is sad about going back to work after her maternity leave, so I sent her flowers. All the simplest actions, all mean so much. Life is hard, but feeling supported by the people in your life makes it so much better. It doesn't have to be big gestures or take a lot of time. Just be supportive! Summer. || No matter how old I get, summer always feels like a bit of a break from real life. Adventure and pool days and fresh watermelon, does it get any better? While Florida may be in the middle of a rainy week (OVER IT), I'm still feeling the excitement and overall happiness that summer brings every year. I love it so much. 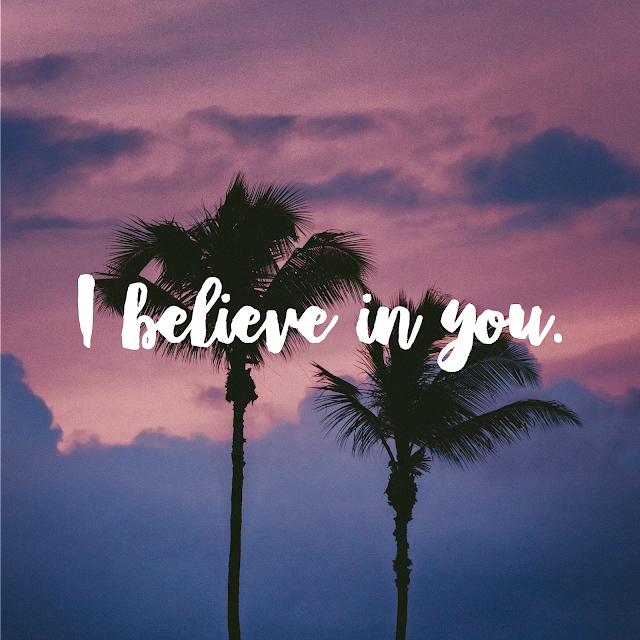 What do you believe in this week? My Favorite Things I Discovered in May. The Best Version of Yourself. Just a Reminder That You Are Alive. Coming in Live: Thoughts on Being a Mom. Some Simple Ways to Just Be Happy Today. 10 Under $10: Things You (Maybe, Might) Need. Best Weekend With My Best Girls. Q + A: Round One! Some Funny Things as of Late.